Antiochus IV, the Selecuid tyrant, sought to make Jerusalem Judenrein. Just as the modern Arab tyrants seek to do the same. The message of the Maccabees is as relevant today as it was when the glorious brothers from the tiny village of Modi’in declared war against the greatest empire in the world—and triumphed. 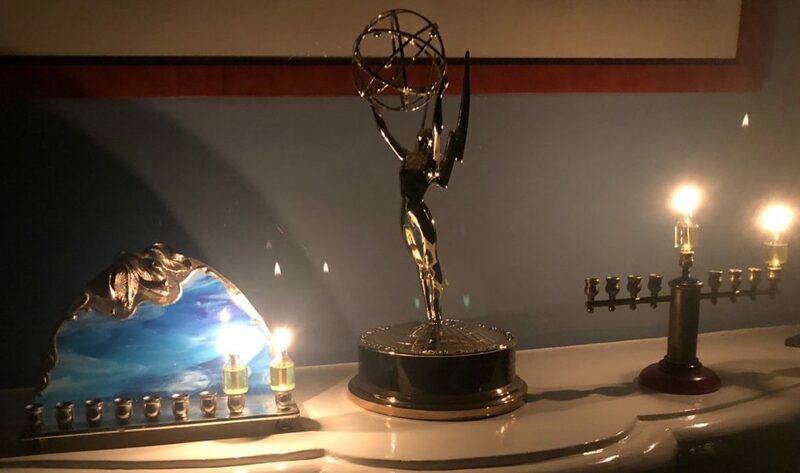 All over the world we Jews celebrate this victory through the holiday of Chanukah. We celebrate the victories of the Maccabees, a group of pious, valiant brothers and their Jewish army, who fought against tremendous odds and succeeded in freeing our holy city Jerusalem from the Greek invaders and their Jewish collaborators. The Maccabees relit the candles of the Menorah on the Temple Mount. Though there was only enough oil for one day, a miracle occurred and the candles burned brightly for eight days and eight nights. Hence, we celebrate eight days of Chanukah. The light of the Menorah vanquishes the darkness of a decadent civilization. The Maccabees rejected the dominant Syrian-Greek society. They despised the cruelty, oppression and Jew-hatred that characterized progressive Greek culture. The Maccabees raised the banner of revolution for religious freedom, and for the primacy of Torah values over pagan values. They also went to war against apostate Jews, traitors to G-d and Judaism. Jews who endured painful surgeries in order to reverse their circumcisions so they could compete, naked, in the public sports gymnasiums that were all the rage in liberal, sexually decadent Greek society. The Maccabees were zealots for Torah who declared total war against assimilationist Jews who sought to overthrow the authority of the Torah with modern, secular, and yes, multicultural values. Abhorring the idol worship of Greek culture, the deeply observant and conservative Maccabees despised the elite Jews who collaborated with the ruling Syrian Greeks. The Maccabees fought savage wars in order to win the independence of the state of Israel from cruel foreign oppression. They yearned to purify the holy Jewish Temple from foreign worship, and they spilled oceans of blood to unite Jerusalem. The Maccabees did not tolerate Jewish fifth columnists who claimed to love Israel while undermining the very foundations of the state. These Hellenized Jews are still with us in the form of J Street, Open Hillel, and the numerous leftist Democrat organizations that seek to replace Torah Judaism with radical leftism. Every single battle fought by the Maccabees took place in Judea and Samaria—AKA the West Bank. And, of course, the most ferocious battle took place in Jerusalem—mostly against secular, assimilationist Jews. The battles of the Maccabees are not over. We are fighting them still. It seems we wage the same battles time after time—on the same bloody ground. God bless President Donald Trump for courageously choosing to recognize the historical truth of eternal Jewish sovereignty over Jerusalem. Karen and I wish all our friends and relatives a joyous and meaningful Chanukah. If you’re looking for that perfect Chanukah or Christmas gift, here it is. 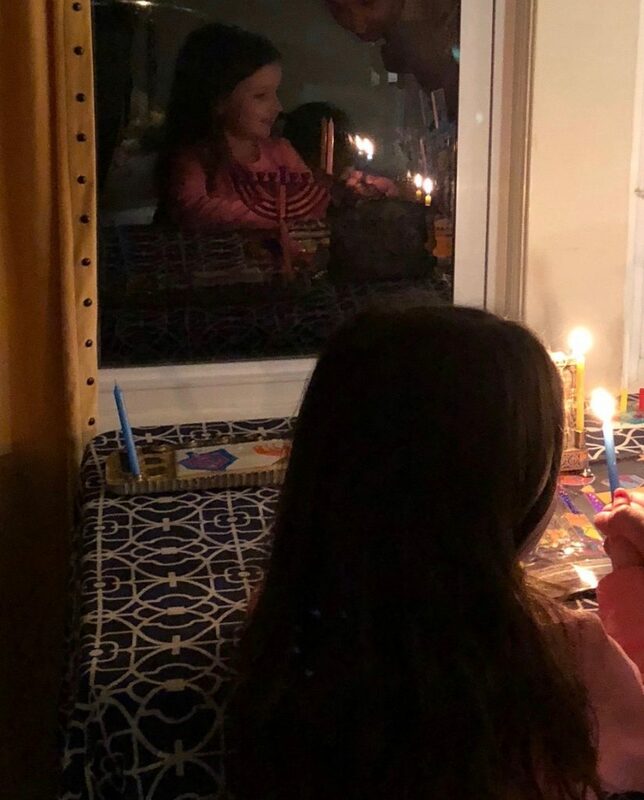 Lielle lights her Chanukah menorah. The Maccabees: Bitter. Clinging to their swords and their religion and antipathy to people who aren’t like them. Meanwhile, you cling to nothing because you have nothing and that satisfies you. Some conquered people won’t knuckle under to their conquerors. Some rebellions fail. This one didn’t. You, on the other hand, do. MPAI.